There is hardly more important equipment on a wilderness or mountaineering trip than a pair of quality footwear. Our store offers the best brands, including Kenetrek, Scarpa, Under armour and Neos. Take, for example Kenetrek or Scarpa. 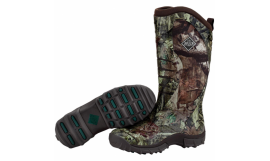 Kenetrek, is owned by avid sheep hunters that have been designing and producing mountain hunting boots since 2002. 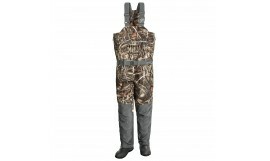 Kenetrek boots are absolutely the best for high-country mountain sheep hunters. Thousands of outdoor enthusiasts wear Kenetrek boots enjoying unbelievable support, protection and great comfort in all possible weather conditions. 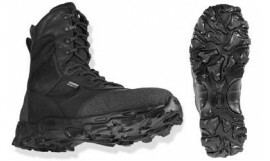 From hot deserts to brutally cold mountains these boots perform. Kenetrek uses the best leather available, gore-tex, insulation and the most durable soles to wear boots year after year. 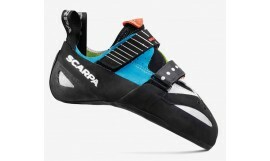 SCARPA is a family owned company based on innovation and tradition. SCARPA’s headquarters and factory are in the same region of northern Italy where it was founded in 1938. The mission was to bring together the best shoemakers in the Asolo area with the goal of producing the best footwear possible. SCARPA stands for Societa Calzaturiera Asolana Riunita Pedemontana Anonima, which means Associated Shoe Manufacturing Company of the Asolo Mountain Area. The company was among the first to recognise the needs to develop footwear for northern Italy's rapidly developing mountaineering and climbing culture. SCARPA continued to innovate, developing the popular Rally boot in the 1970’s. It was designed for alpine skiing and was a pioneer high-altitude plastic boot for mountaineering. That boot has been used by many top climbers and explorers throughout the Himalayas and Antarctic. The boot was also adopted by the Italian, U.S., French, Spanish and other militaries for use by troops in extreme conditions. The company has many firsts to its name, including being the first to build a Gore-Tex boot and the first to develop a plastic telemark skiing boot. They introduced the first telemark and alpine touring compatible boot in 2007. Now, the next generation of owners is continuing the pursuit of innovative mountain footwear. SCARPA has been operating in North American since 2005. Work'n Play Drying Station - 120V AC 300WKeep Your Family Warm and Dry. The Work'n Play Drying Stati..
Work'n Play Portable Boot DryerThe Work'n Play Portable Boot Dryer is a one-of-a-kind portable boot ..
A lace-up version of our revolutionary Drago, the fine-tuned Chimera features the same handcrafted, .. Aggressively downturned and highly asymmetric, with a forefoot wrapped in sticky rubber, the Drago r.. Gentle randing, a flatter profile, and a supportive platform provide performance and comfort for lon..
CAMP’s most robust Chainsen design, featuring thick elastomer and interlinking claw spikes on the fr.. The lightweight version of the popular Chainsen design. Thinner elastomer and a thinner gauge on the.. The Chainsen Pro is a best-seller and ever-popular product with the thickest elastomer and most dura..